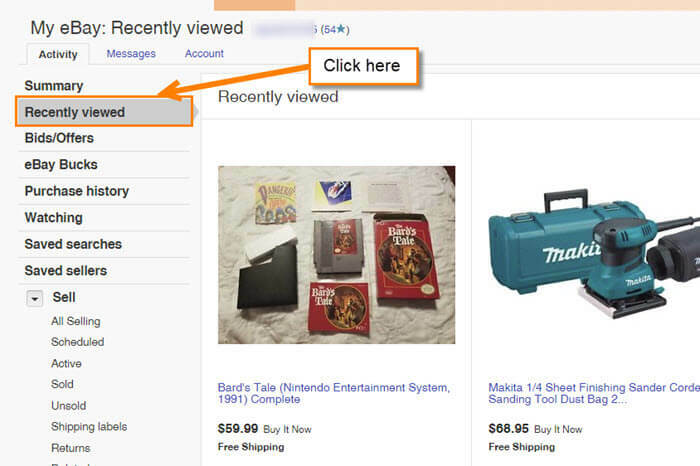 If you are like me, you share your eBay account with your spouse and/or children. Yes, some of us have to share. With me searching for holiday gifts it made me think I might want to clear my browsing history on the eBay account. Don’t want my wife or offspring knowing what I’m buying for me… I mean for them. How to clear browsing history is also a good thing to know when you don’t want anyone to know what you are searching for during other times of the year… not judging anyone :). I love my privacy as much as the next guy. As I always do, I’m sharing my knowledge with you on how you can clear that history. Step 1: Sign in to your eBay account. Under the rotating banner on the home screen you should see Your Recently Viewed Items. Click on the See All link on the right, or in the middle, depending on your browser. Head up to the top-right and hover over or click on the My eBay link. This will bring up the drop-down menu. Now, click on the My eBay link. This will take you to the next screen. The third option is to go back to the top-right and bring up the drop-down menu. From here, click on the Selling option. Or, if you want to get to the point, click on Recently Viewed. I love holding on to the obvious one until last :). 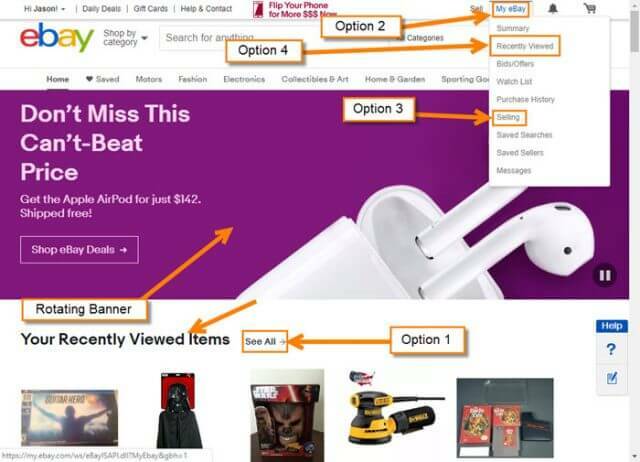 Step 3: If you picked Option 1 or Option 4 in Step 2 you will already be in the right section of the My eBay page (Your Recently Viewed Items), if you chose option 2 or 3, you will need to select “Recently Viewed” in the left menu to bring up the section. Step 4: Here is where the history of your eBay browsing is located. To clear/delete this history, head up to the right side and click Clear all. You will now see a Confirmation window pop up. Click on the Confirm button. DONE! 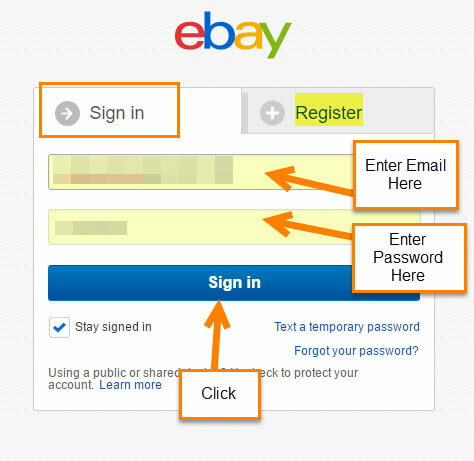 That is all you have to do to clear/delete any record of what you were looking at on eBay. Now you can start Christmas shopping and keep it a secret.